Summer is almost here, and we’re thinking about the ocean! 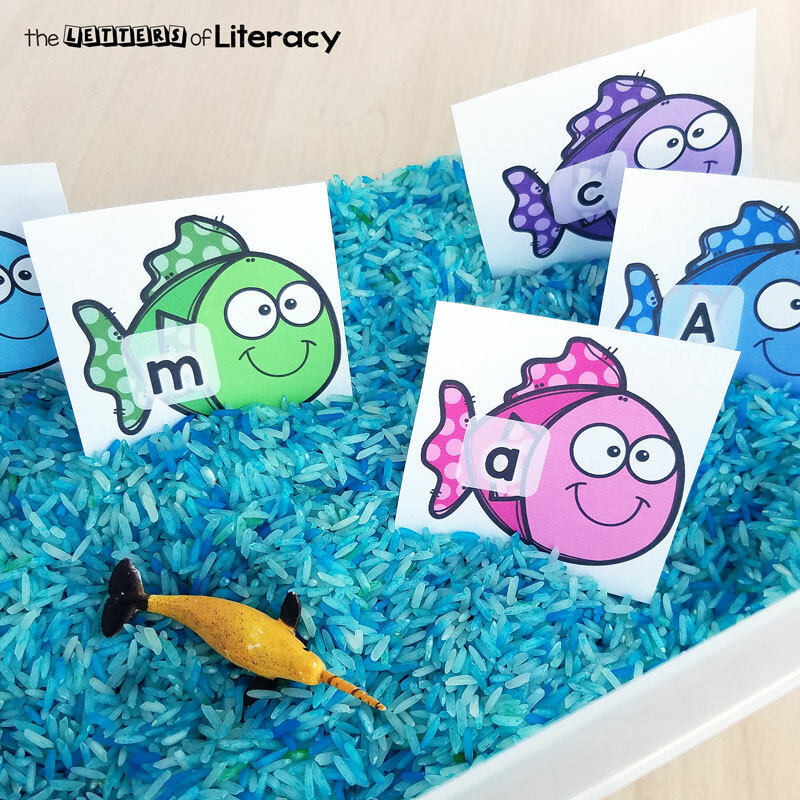 This ocean-themed alphabet sensory bin provides practice matching uppercase and lowercase letters, and more. 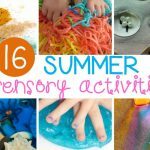 Sensory bins are a favorite among both teachers and students! One of my favorite things to do is spend time near the ocean. Put me within earshot of gently crashing waves, where I can catch a glimpse of blue water and a whiff of salty air, and I’m in my happy place. Maybe it’s just my own interests rubbing off, but my kids have always been interested in learning all about the ocean too. When I said I wanted to color rice blue for an ocean alphabet sensory bin, my girls were all in. Following these simple taste-safe directions we took turns adding food coloring to our bag of rice. The girls loved shaking it and watching the color spread. One of them suggested we add some green too, and so we did. If you look closely you can see a little bit of green “water” mixed in with the different shades of blue. The colored rice was ready for play in just a few minutes. 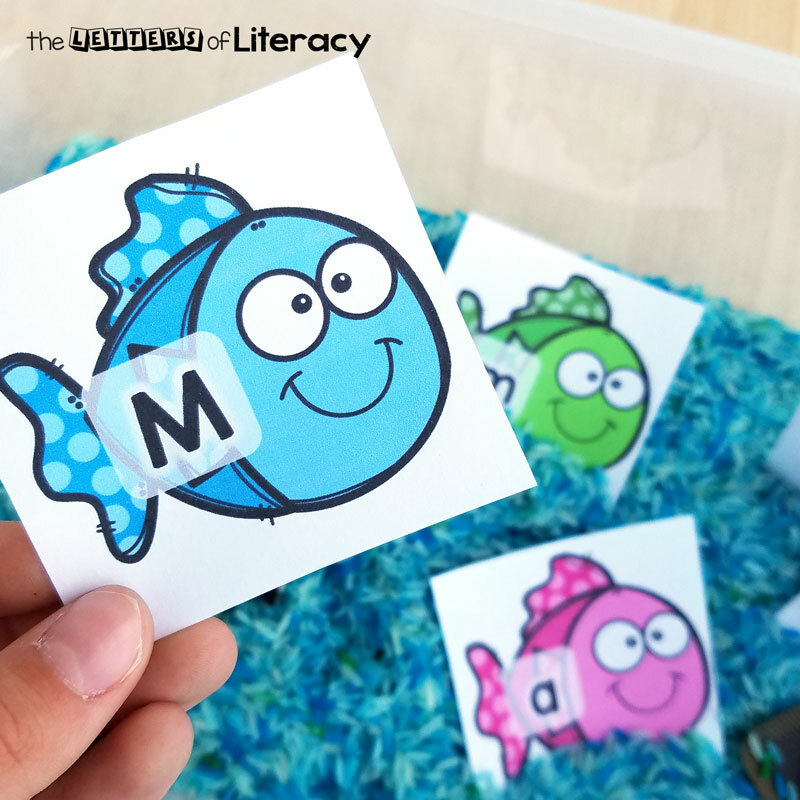 We added cute fish with uppercase and lowercase letters, plus a few plastic ocean animals. 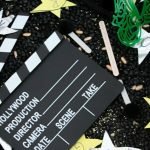 I stepped into another room to make a recording sheet for you, and while I worked I could hear the sound of gently clinking rice as the girls enthusiastically raked through the bin. The sensory element is such a strong draw! Grab your free printable, print it out, laminate it for durability if you like, and then cut out each fish. 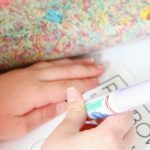 You can present this activity three ways, depending on the learning objective. 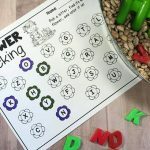 Pick out the uppercase and lowercase matches you want to reinforce and hide them in the sensory bin. The child sifts through the bin to find matching letters. 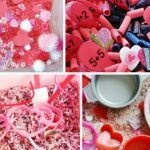 Hide small, familiar plastic ocean animals in the bin, along with cards for the initial sound of each animal name (i.e. d – dolphin, n – narwhal, f – fish, etc.). The child then finds the matching animals and letter cards. 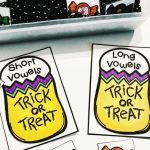 The free printable also includes a little bonus: four pairs of pre-primer sight words that you can hide in the bin. 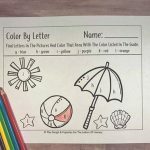 As the child finds each match, invite him or her to say it in a sentence related to the ocean theme. As the kids work, they can write down their matches on the recording sheet. 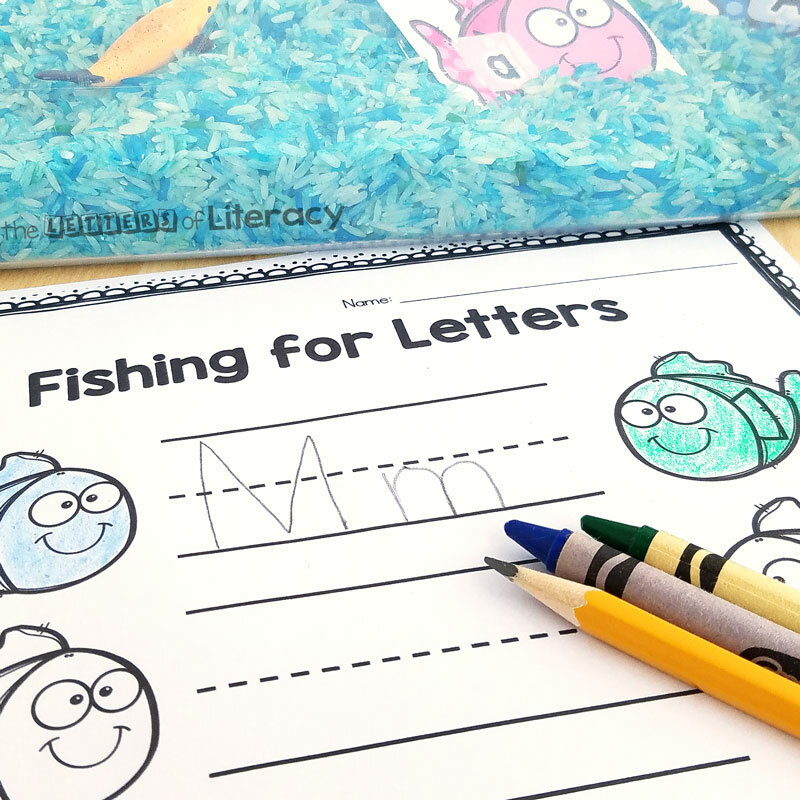 They also can color the fish to match the colors on the cards they found. 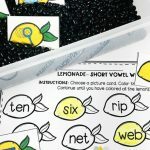 Playing with “ocean rice” isn’t quite the same as spending time near the real thing, but it’s still an engaging way to add some almost-summer (or already summer) interest to your classroom. Ready to go fishing for some letters? 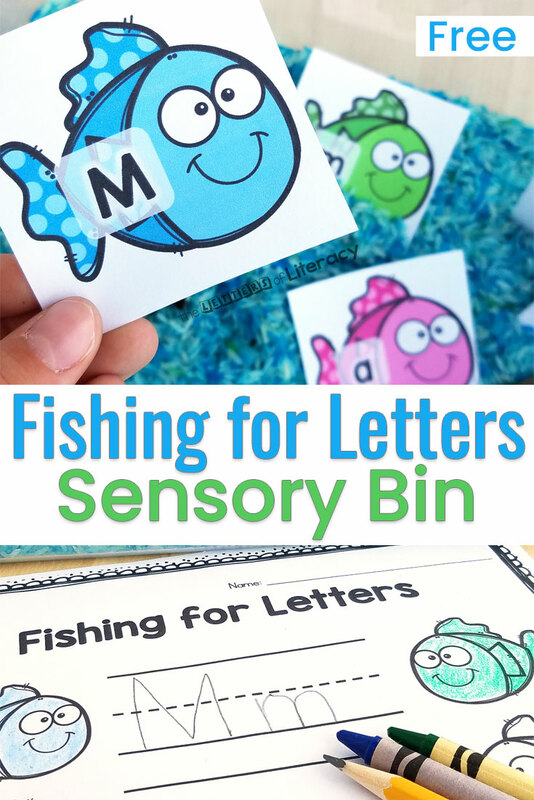 Grab your copy of this fun alphabet sensory bin by clicking the blue button below! 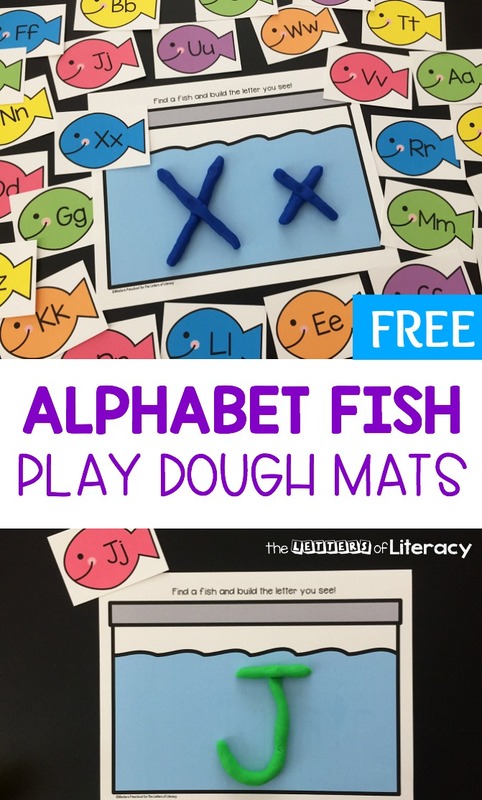 Then, for more fishy fun, hop over and grab our Alphabet Fish Play Dough Mats!